Sun Stud’s Melbourne Cup winner Fiorente sired his second stakes winner when the fast improving 3YO Hawkshot won the G2 Autumn Stakes at Caulfield on Saturday. Hawkshot (Fiorente x Rosa Perlato by Encosta de Lago) was having his first start for the Lindsay Park stable following his transfer as a result of former trainer Darren Weir’s disqualification. 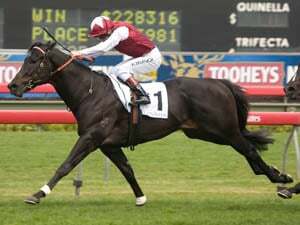 Co trainer Ben Hayes said Hawkshot would now be aimed at the G1 Australian Guineas after taking his record to three wins and three placings in eight starts for earnings of $268,850. Hawkshot, a homebred for Sun Bloodstock, is the second foal out of the Encosta de Lago mare Rosa Perlato, who is also the dam of a Fiorente 2YO in the Lindsay Park stable. Rose Perato also has a yearling filly by Ready To Victory and is in foal to another Sun Stud stallion Thronum. Fiorente, a son of Monsun, is enjoying a hot run with Hawkshot his third Melbourne winner in four days after wins by Piemonte at Sandown on Wednesday and Lunar Flare at Moonee Valley on Friday night. 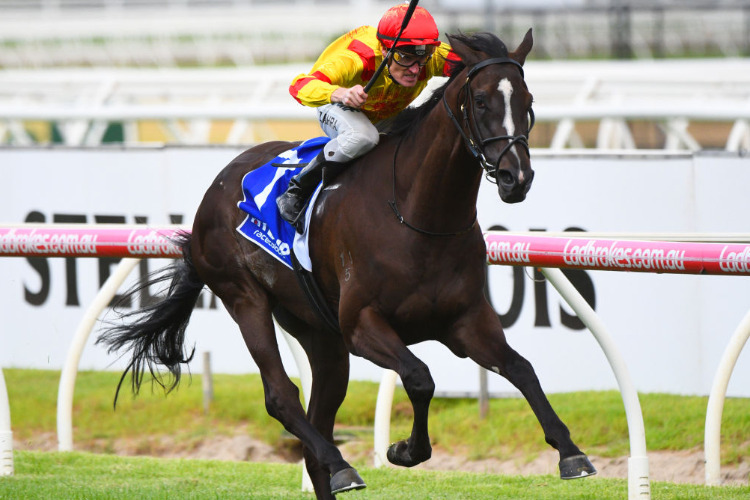 Lunar Flare won by six lengths over 1600m and is heading towards the G1 AJC Oaks at Randwick in April. She is from the Encosta de Lago mare My Fair Lago and is bred on the same cross as Hawkshot. Fiorente is also the sire of G2 winner and G1 Victoria Derby placegetter Stars Of Carrum, who is set to join Hawkshot in the Australian Guineas at Flemington next month. Sun Stud celebrated a double at Caulfield when the tough Magnus mare Princess Of Queens won the G3 Bellmaine Stakes. The five-year-old Princess Of Queens (Magnus x Tristabeel by Zabeel) has now won seven of her 25 starts and $441,240. 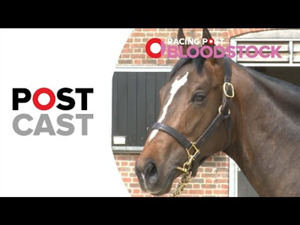 Princess Of Queens is the fifth foal from Tristabeel, a mare with an affinity with Magnus having produced three stakes horses from three matings with the leading Victorian sire. Duke Of Brunswick and Prince Of Brooklyn – also trained by Price – are the other black type performers from the mare. Magnus has sired 64 individual winners and over $3,100,000 in progeny earnings this season. 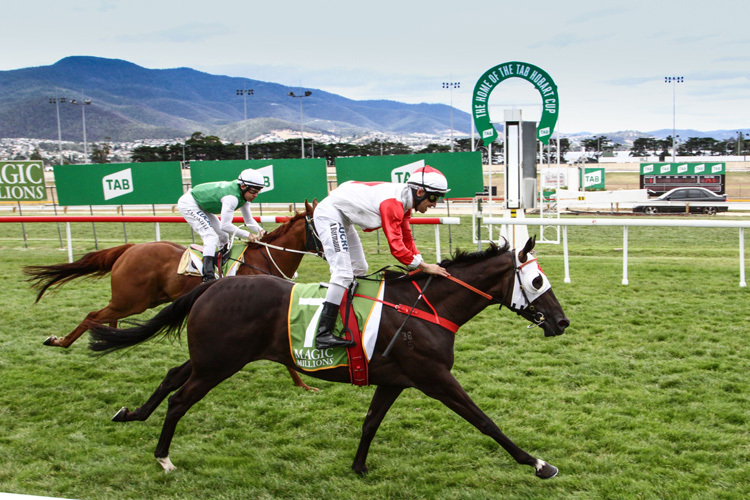 Tasmanian Magic Millions product Eastender completed a memorable weekend for syndicator Denise Martin when he won Sunday’s $250,000 Hobart Cup at Elwick. 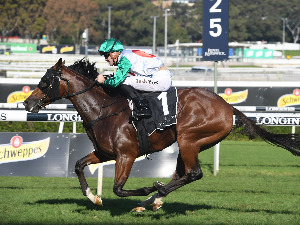 Eastender (Tickets x Cougar Alley by Mossman) joined Fiesta, winner of Saturday’s $1 million Warwick Farm Sprint, as big winners for Martin’s Star Thoroughbreds syndicates. Martin purchased Eastender for only $22,000 at the 2015 Magic Millions Tasmanian Yearling Sale. Eastender proved the superior stayer in the G3 Hobart Cup, taking his earnings more than $350,000 with his ninth career win. He came from a distant last to give jockey Craig Newitt's his third win in the race and a second victory for trainer Barry Campbell. Campbell will now aim Eastender at the G3 Launceston Cup on February 27 and from there plans to tackle the G2 Adelaide Cup in March. "We were a couple of months from giving this horse away as riding horse,” Martin said. “He'd shown nothing early and he's now a really good stayer." Eastender is the first stakes winner by Tickets, a G1-winning son of Redoute’s Choice who was exported to China in 2015 after five seasons at stud in Australia. He has been represented by 90 winners from six crops of racing age. Eastender shared the Elwick spotlight with Tasmania’s outstanding filly Mystic Journey after she overwhelmed her4 older rivals to win the Listed Thomas Lyons Stakes. The Tasmanian-bred daughter of Needs Further was an $11,000 Magic Millions buy from Armidale Stud as a yearling and has now taken her winnings to over $400,000 for the Adam Trinder stable. Mystic Journey is by Needs Further from White Gold, a New Zealand bred daughter of Colombia. White Gold is also the dam of two other winners and is a sister to the stakes-placed Oronero (Colombia). Her fourth dam Lanna D'Orois a half-sister to the legendary dam Eight Carat. 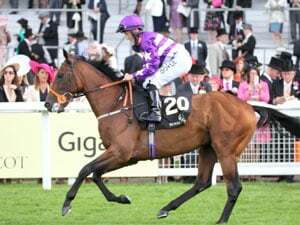 Mystic Journey is now set to race in Melbourne where he targets are the G1 Australian Guineas and $5 million All Star Mile.